Installing WordPress on Red Hat OpenShift is just easy as it is on other Platform as a Service (PaaS) now. 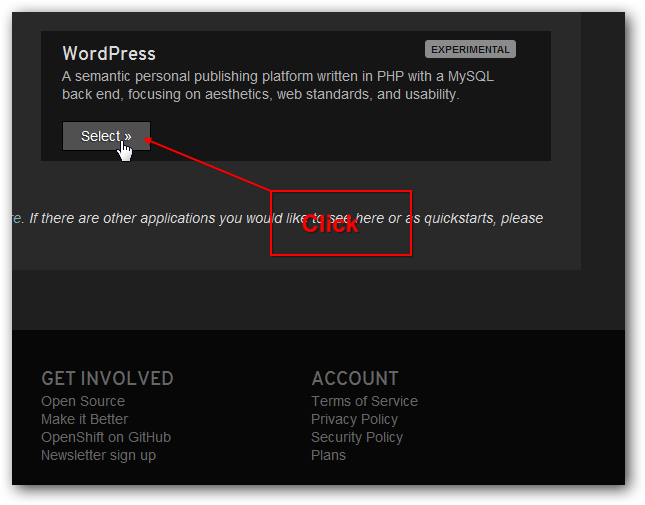 Nothing to configure, simply click install WordPress. We gave a brief introduction to Red Hat OpenShift PaaS before and this is one practical guide. We wrote the guide on Install WordPress on AppFog Cloud PaaS (updated on May 2014 – AppFog is not Free anymore), that needed some clicks, Installing WordPress on Red Hat OpenShift needs couple of clicks. Installing WordPress on Red Hat OpenShift basically follows the same principle. Both within the free quota are good. Installing WordPress on Red Hat OpenShift will appear easier to newbies as there is nothing to select as options as providers. On the other hand, Appfog provides probably a better chance to taste various infrastructures to the advanced users. After login, change the password. Installing WordPress on Red Hat OpenShift is highly recommended for those who are unable to maintain their websites due to no return and counting yearly fee for hosting on third class traditional servers. You can basically do your your with git, all plugins can be installed, what more ? This Article Has Been Shared 6069 Times! 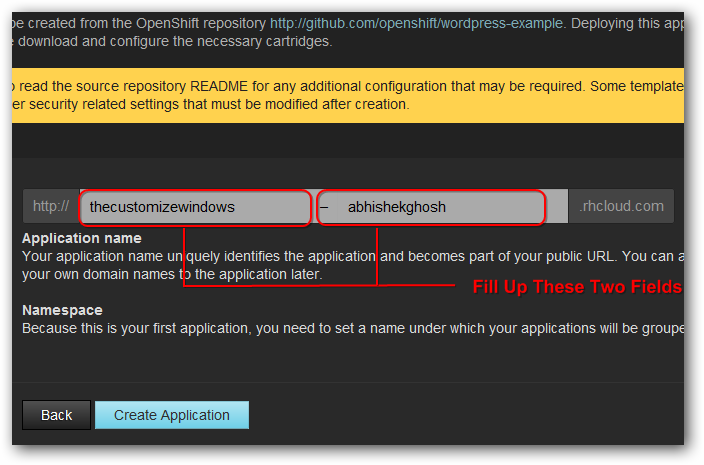 Cite this article as: Abhishek Ghosh, "Installing WordPress on Red Hat OpenShift Guide," in The Customize Windows, September 29, 2012, April 19, 2019, https://thecustomizewindows.com/2012/09/installing-wordpress-on-red-hat-openshift-guide/.